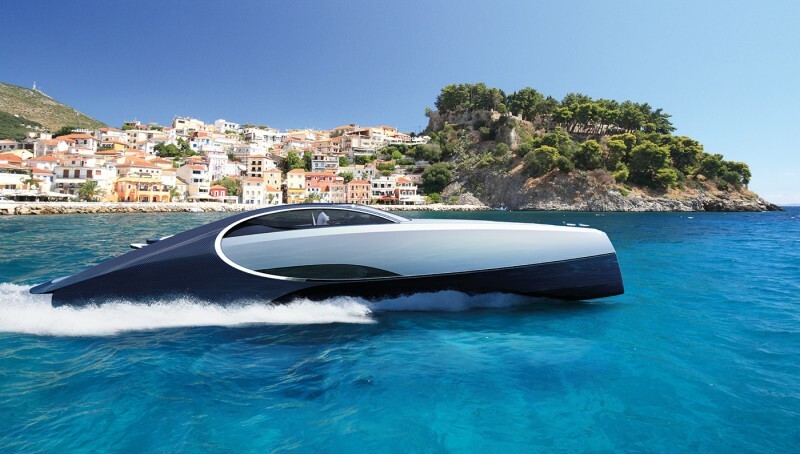 Following the same classic horseshoe lines as Bugattis, Palmer Johnson and Bugatti worked in conjunction with A++ to create the yacht’s exterior styling and interior design that is reminiscent of the Bugatti Chiron. 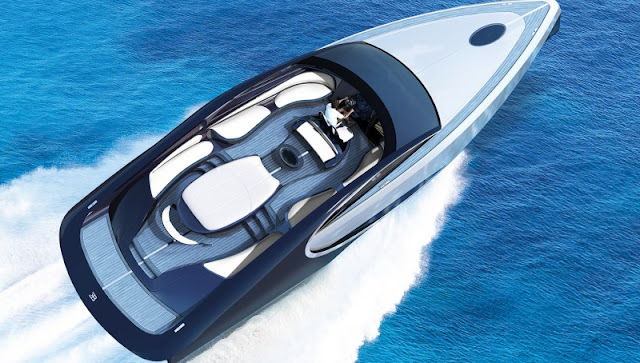 Palmer Johnson took care of the Niniette 66’s naval architecture and engineering. 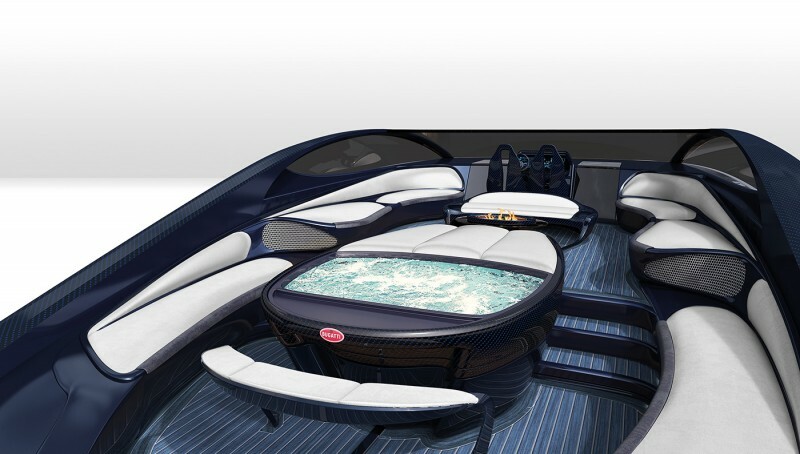 The Limited Edition Bugatti Niniette 66 is the first in a new line of yachts that will go from 50 to 80 feet, all inspired by the Bugatti Chiron. 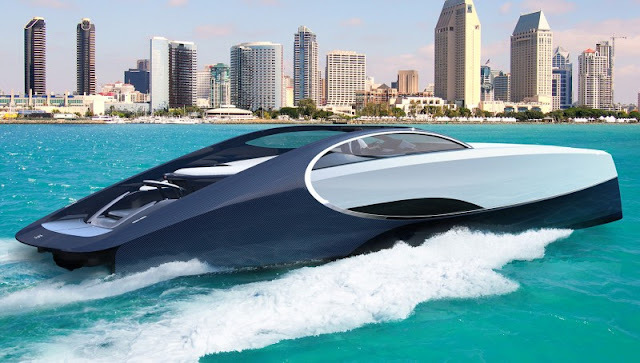 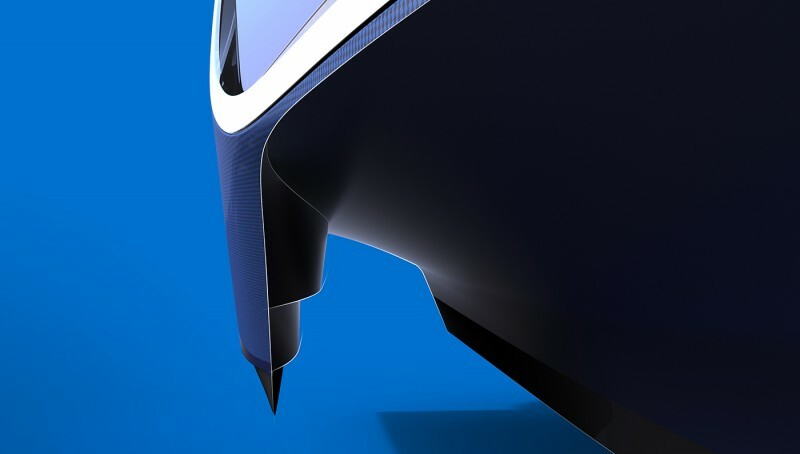 And true to the fast car design, this fast yacht will hit a top speed of 44 knots. 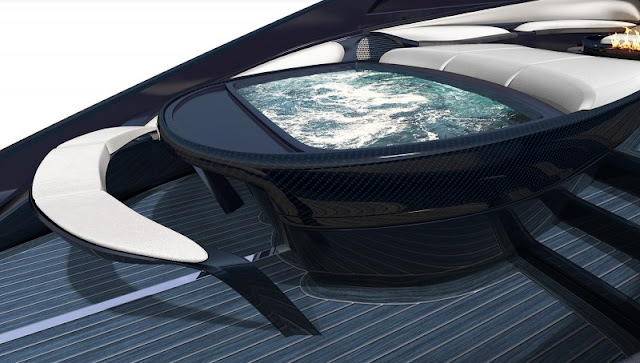 The vessel’s slender monohull is stabilized by a sponson on each side, which dampens rolls at all speeds, making a great ride for its two guests and one crewmember. 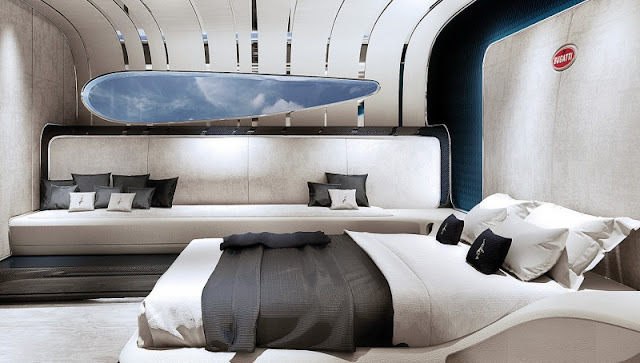 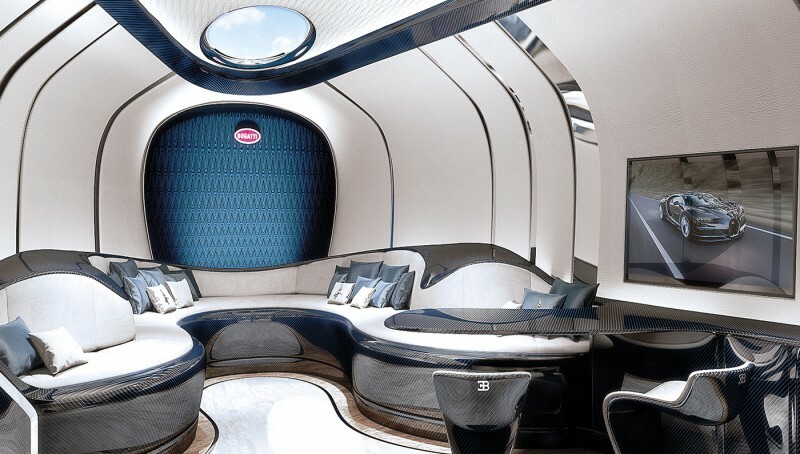 The Bugatti Niniette 66’s 21-foot beam allows for a roomy master suite—featuring soft leather, polished metal, suede, and carbon—an automotive-inspired salon with macaron skylight, a marble-clad guest bathroom, and a galley kitchen with all the basics. The modern interior creates a cocooning effect via its Bugatti horseshoe shape. 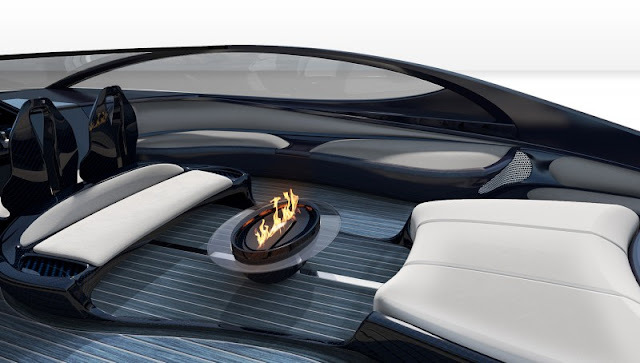 On deck, guests will enjoy the fire pit, Jacuzzi, sunpads and Champagne bar, plus plenty of seating to choose from. 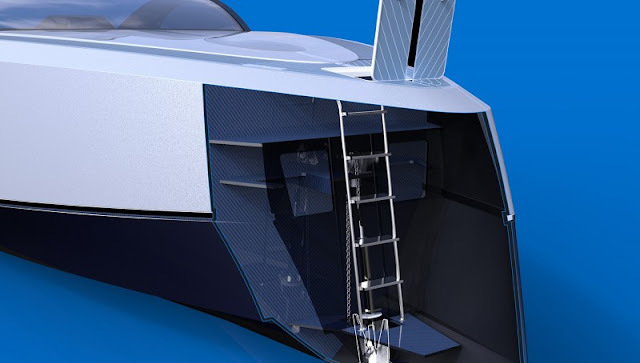 Powered by fuel-efficient MAN V-8 engines, and featuring MJP waterjets, the Bugatti Niniette 66’s stable and efficient hull will get you to the Bahamas fast, where you will be able to jet around without trouble, thanks to the yacht shallow 4-foot draft. Guests will compete to pilot this joy-stick-controlled speedboat from the Bugatti-designed helm chairs and command center. While the Bugatti yachting connection may seem odd, the fast-car maker dabbled in the boat-building business in the 1930s, when it was commissioned to create a bespoke boat for Prince Carlo Maurizio Ruspoldi. Bugatti founder Ettore named this speedy craft Niniette, his youngest daughter Lidia’s nickname. And Monaco-based Palmer Johnson was the most obvious choice for the automaker to pair with, given the yacht builder’s known success in building mold-breaking, sleek, powerful, and efficient sport yachts. 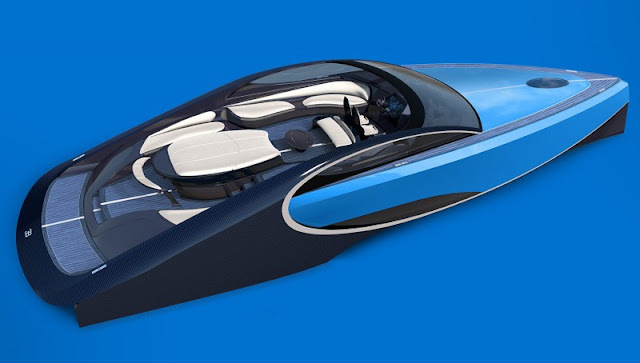 Those interested should get their orders in soon: Only 66 examples of the Limited Edition Bugatti Niniette 66 sport yacht will be made. 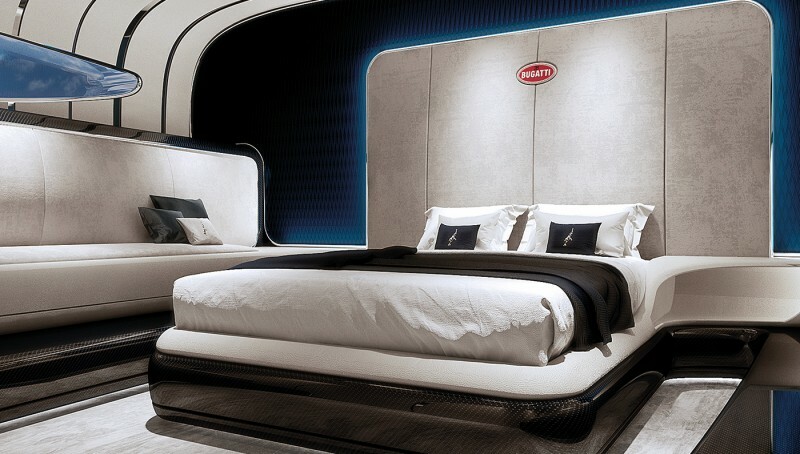 (bugattininiette.com).